The unforgettable novel of a childhood in a sleepy Southern town and the crisis of conscience that rocked it, To Kill A Mockingbird became both an instant bestseller and a critical success when it was first published in 1960. It went on to win the Pulitzer Prize in 1961 and was later made into an Academy Award-winning film, also a classic. Compassionate, dramatic, and deeply moving, To Kill A Mockingbird takes readers to the roots of human behavior - to innocence and experience, kindness and cruelty, love and hatred, humor and pathos. Now with over 18 million copies in print and translated into forty languages, this regional story by a young Alabama woman claims universal appeal. Harper Lee always considered her book to be a simple love story. Today it is regarded as a masterpiece of American literature. Nelle Harper Lee is known for her Putltzer Prize-winning novel To Kill a Mockingbird, her only major work. In 1999, it was voted "Best Novel of the Century" in a poll by Library Journal. Ms. Lee was awarded the Presidential Medal of Freedom for her contribution to literature in 2007. Her father was a lawyer who served in the Alabama state legislature from 1926 to 1938. As a child, Lee was a tomboy and enjoyed the friendship of her schoolmate, Truman Capote. After completing To Kill a Mockingbird, Lee accompanied Capote to Holcomb, Kansas, to assist him in researching his bestselling book, In Cold Blood. 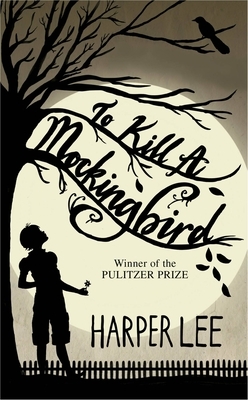 Since publication of To Kill a Mockingbird, Lee has granted very few requests for interviews or public appearances and has published no other novels.